Round neck top by BETTY BARCLAY with short sleeves. 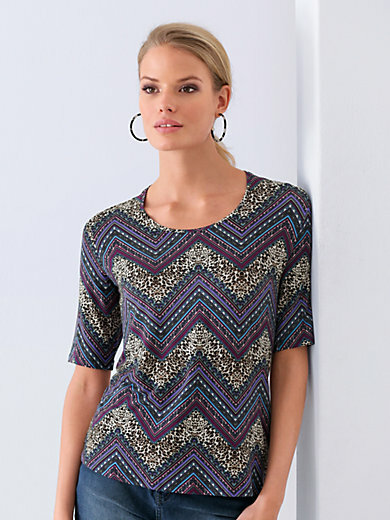 A real fashion hit with strikingly pretty zigzag pattern in the latest trend colours. 95% viscose, 5% elastane. Length approx. 24ins. The top is machine washable.